Many members enjoy competition, and there are several different types to choose from. Click here for a full breakdown from the USDF of some ways you can get in the competition ring. Competing in recognized dressage shows qualify you and your horse for the Great American Insurance Group/USDF Regional Championships and other USDF Awards. Add your WPDA membership number to your show entry to qualify for local WPDA awards as well! See our awards page for more information. Schooling shows are a great way for you and your horse to gain competition experience in a more informal atmosphere. See our calendar for upcoming schooling shows in the area. Members who volunteer at WPDA Sanctioned Shows are eligible for Canter Cash, found on the volunteer page. 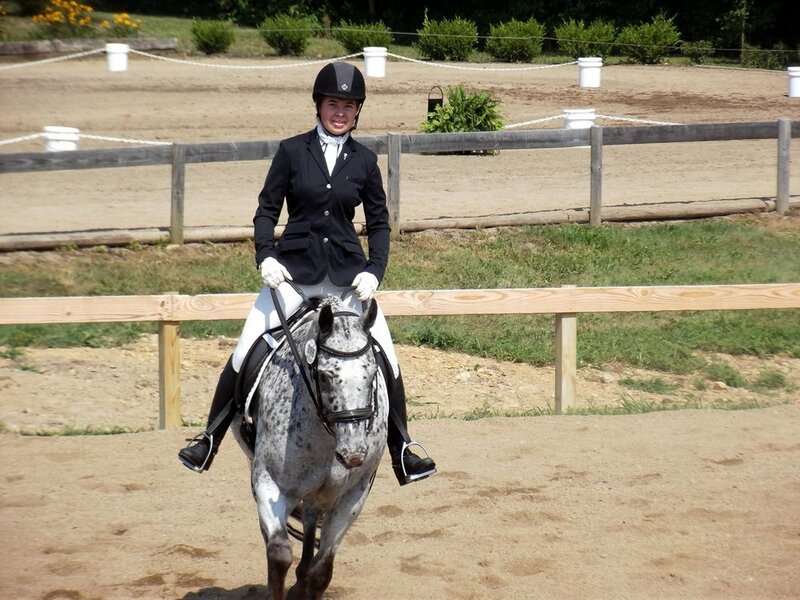 interested in hosting a Wpda sanctioned schooling show? Click below for photos from our 2018 schooling shows at Fair Haven Farms! Interested in helping out at a show? Please fill out the form below! We will work with your schedule to ensure you can compete and volunteer! If chosen "other", please elaborate. Thank you for getting involved with the club! We will be in touch soon.